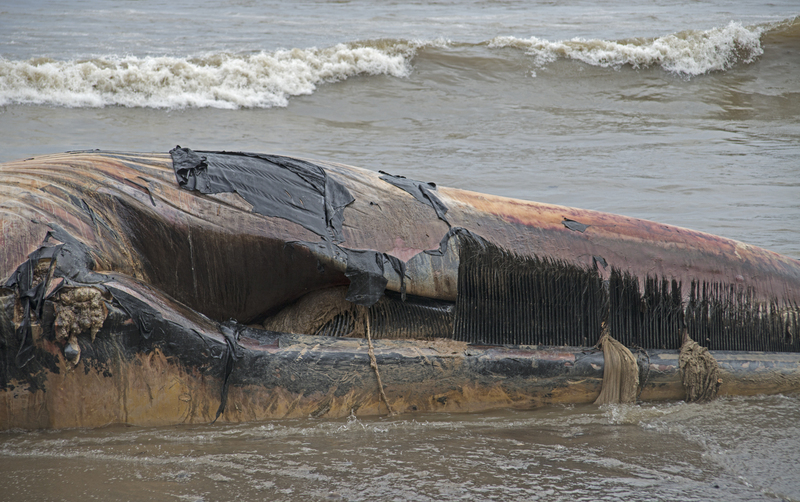 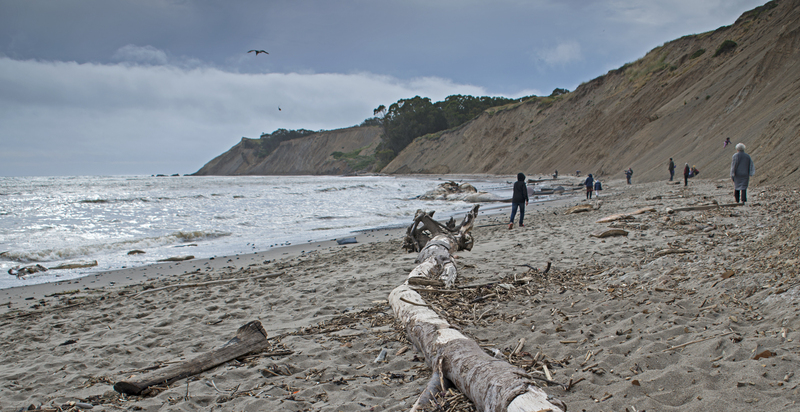 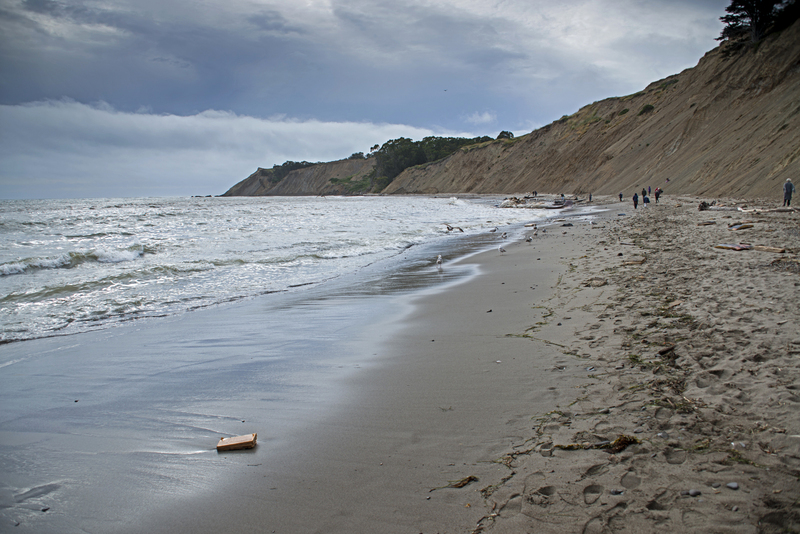 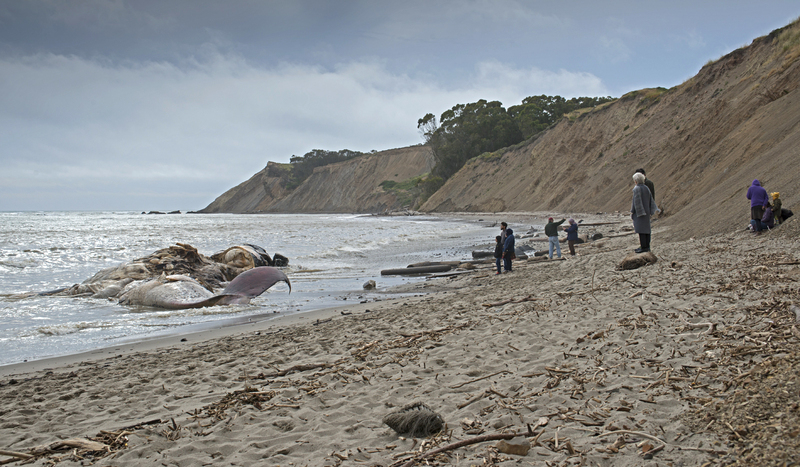 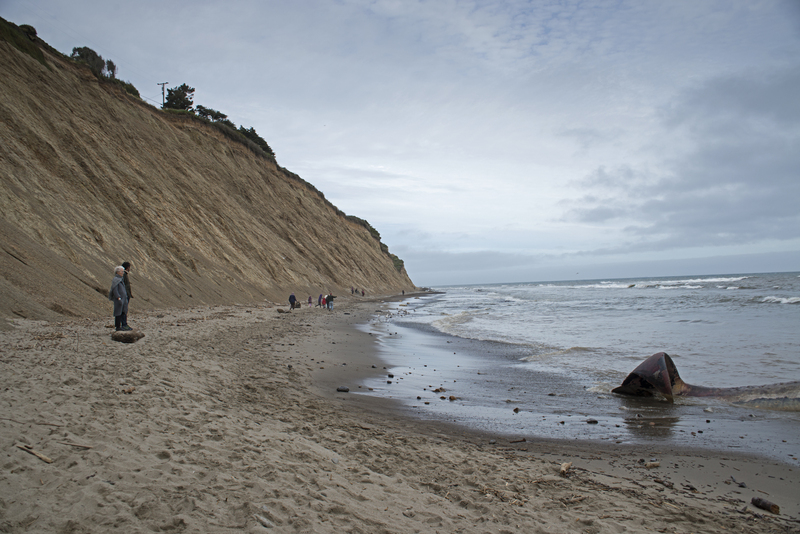 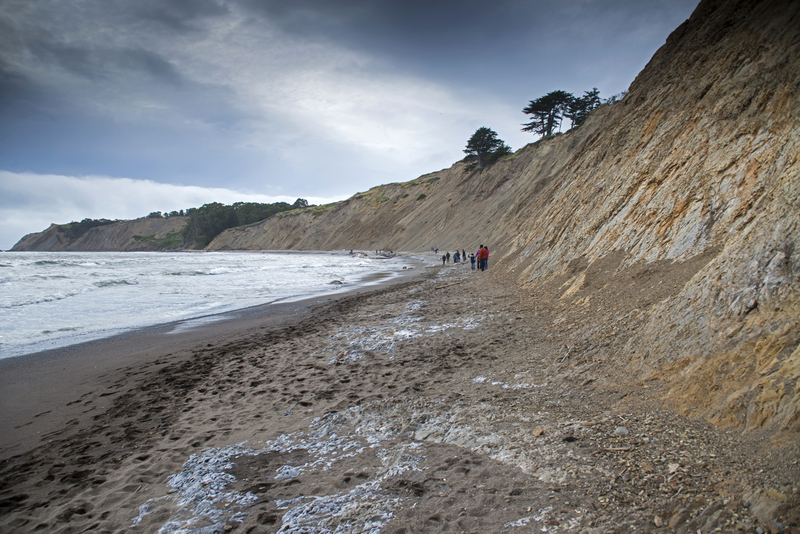 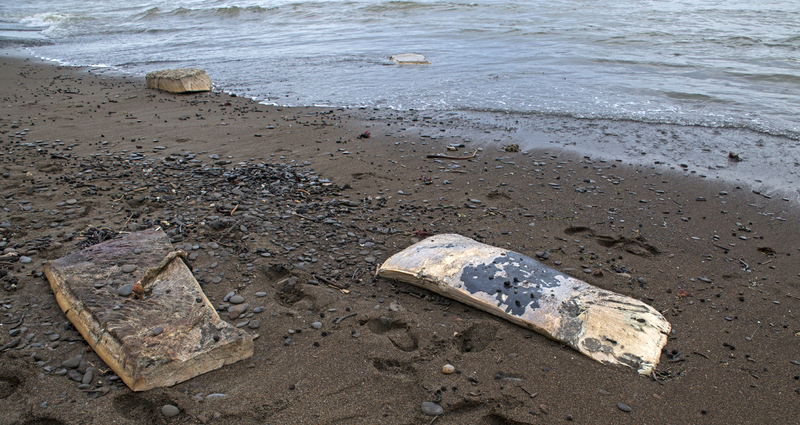 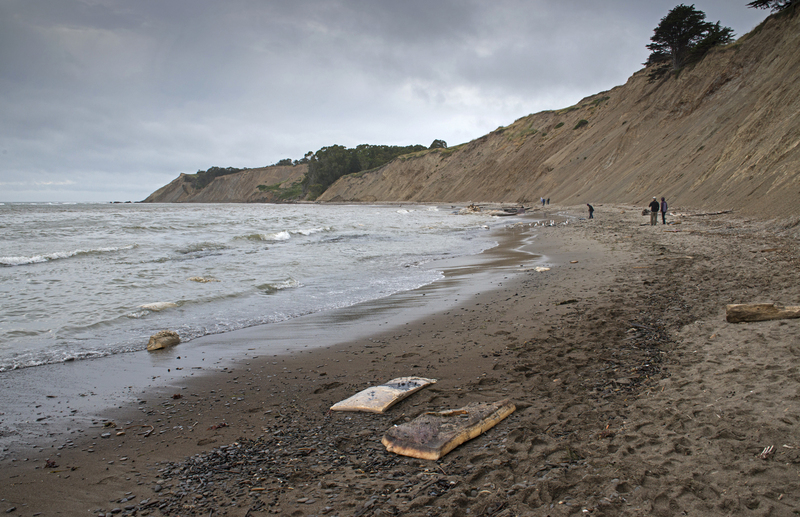 Agate Beach located north of San Francisco was the location where a 79-foot-long Blue Whale washed up dead apparently being hit and killed in a collision with a ship. 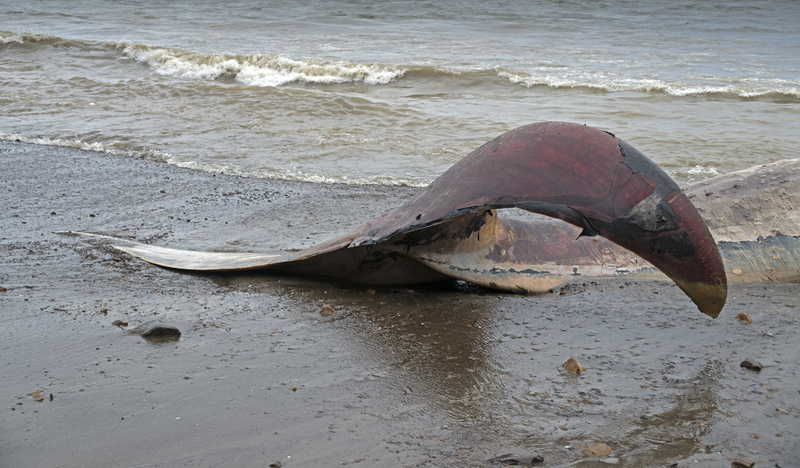 Blue whales are massive marine mammals. 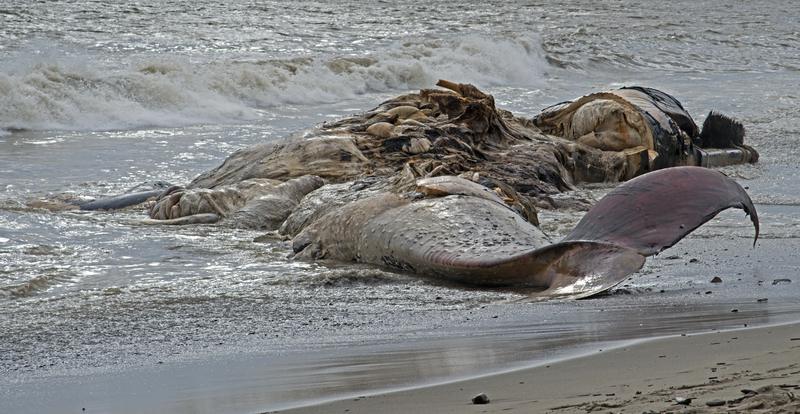 They can reach 100 feet in length and 300,000 to 400,000 pounds. 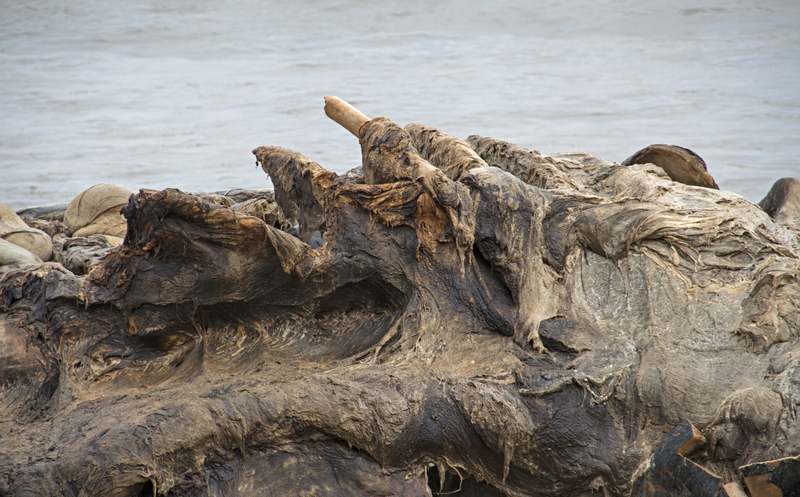 Their tongues weigh as much an elephant and they can live 80 years or more. 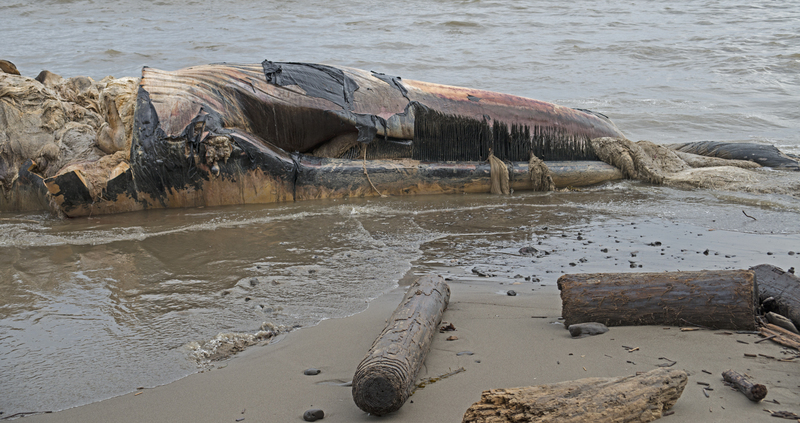 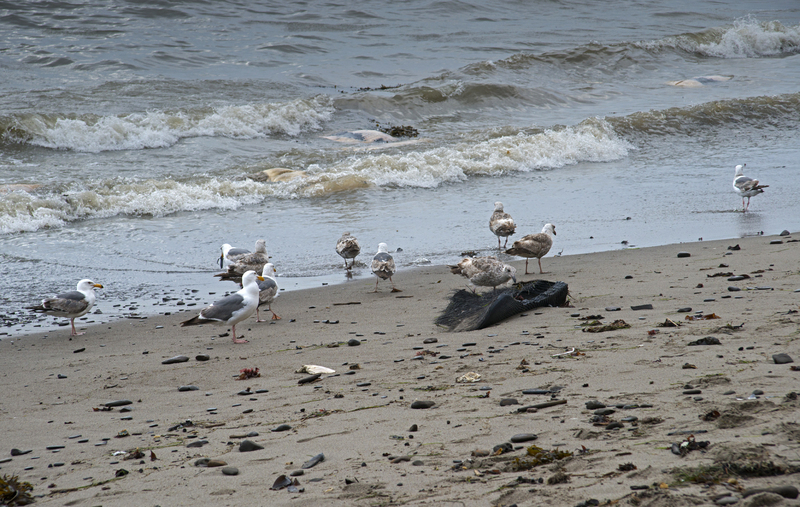 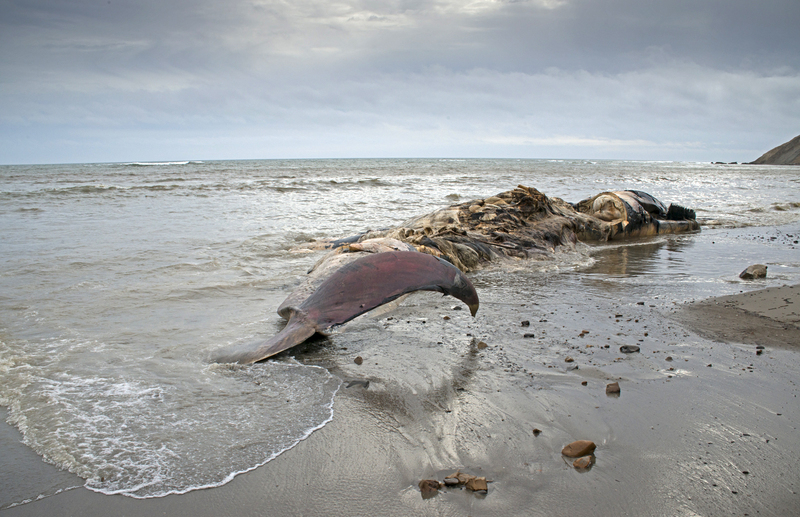 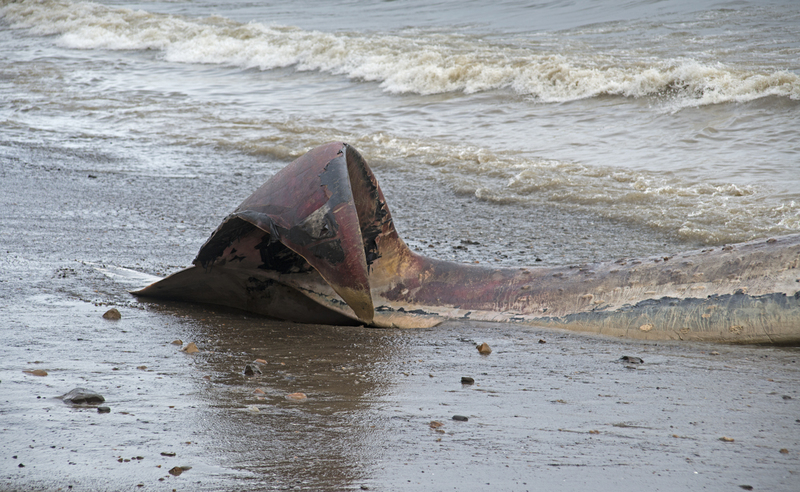 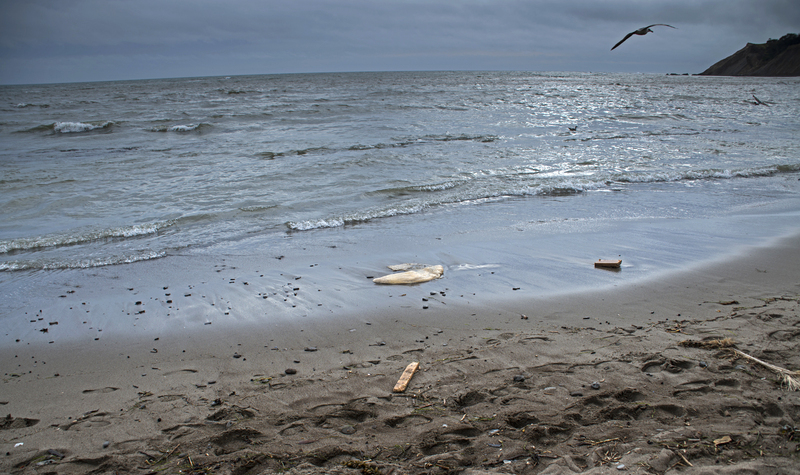 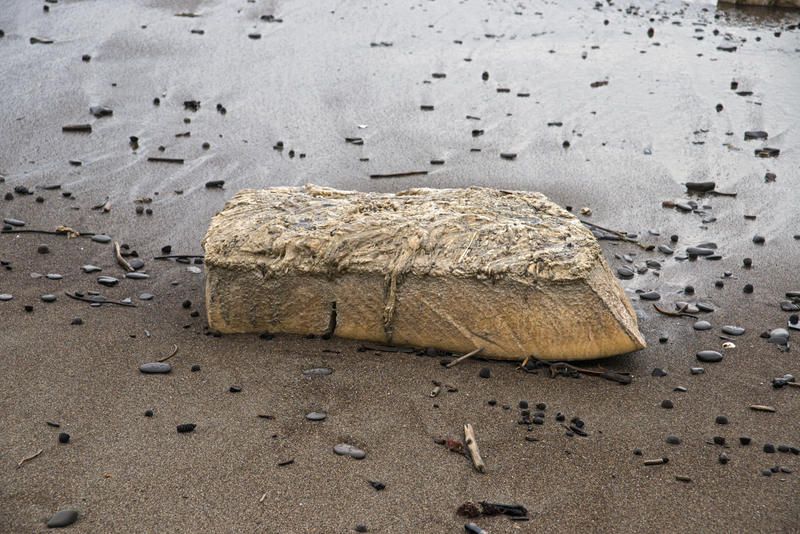 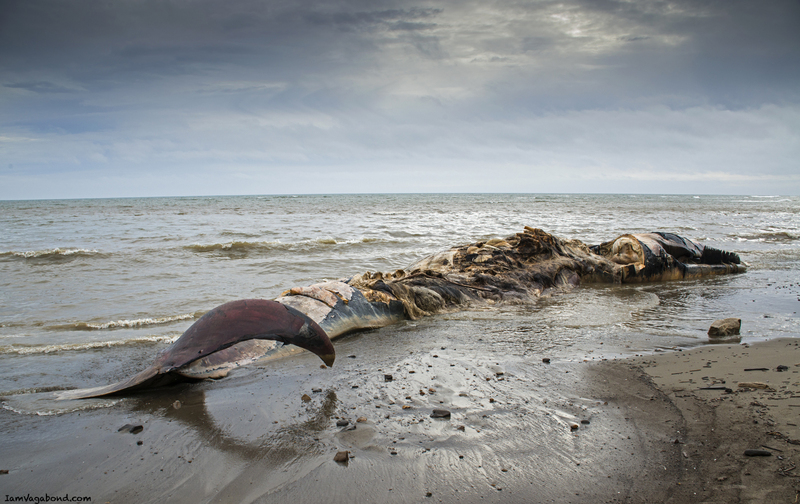 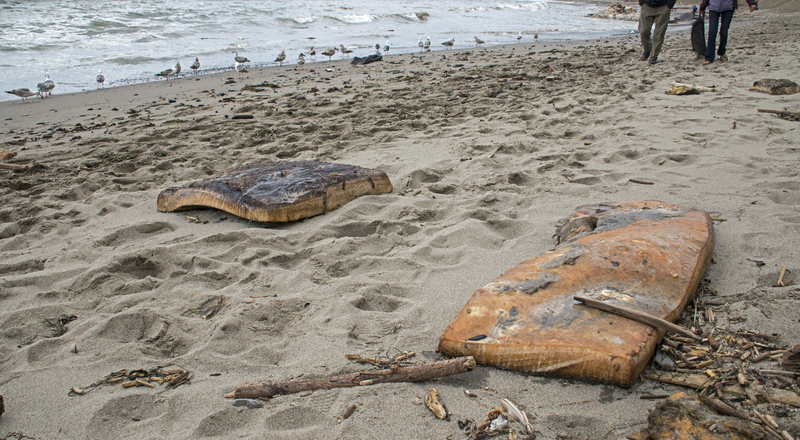 Halaska said that although large whales are sometimes towed out to sea when they wash up on beaches, this one will be left on the beach to decompose, be eaten by birds and wash back into the ocean. 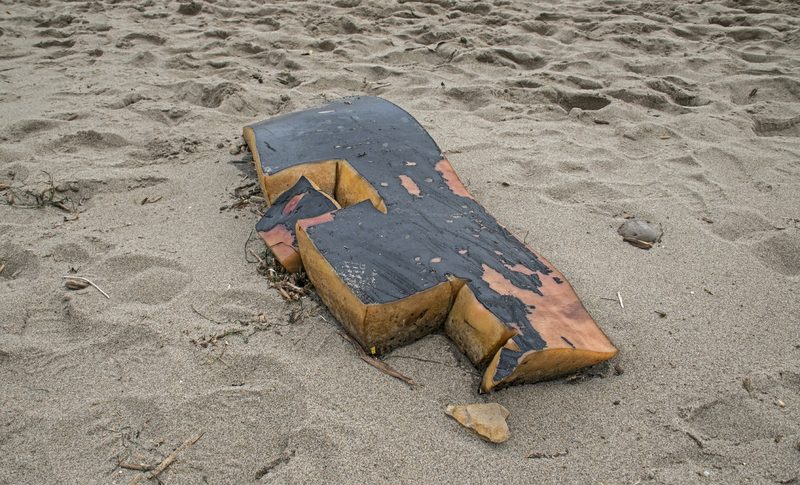 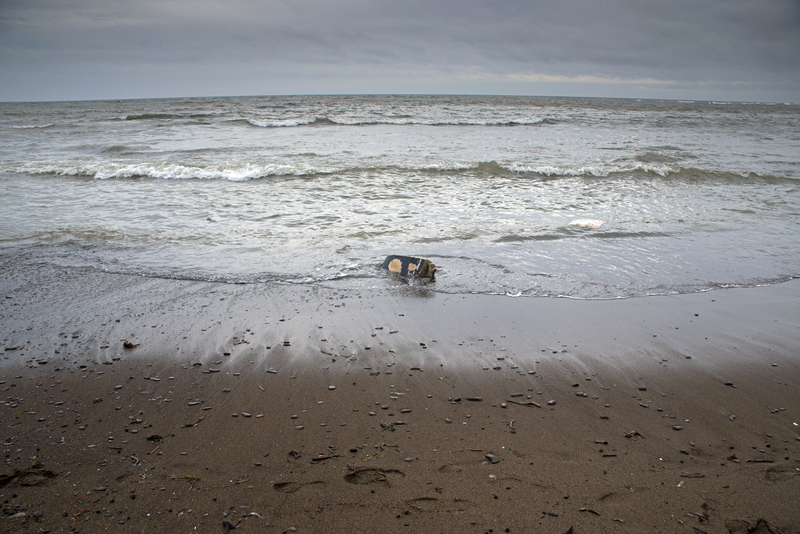 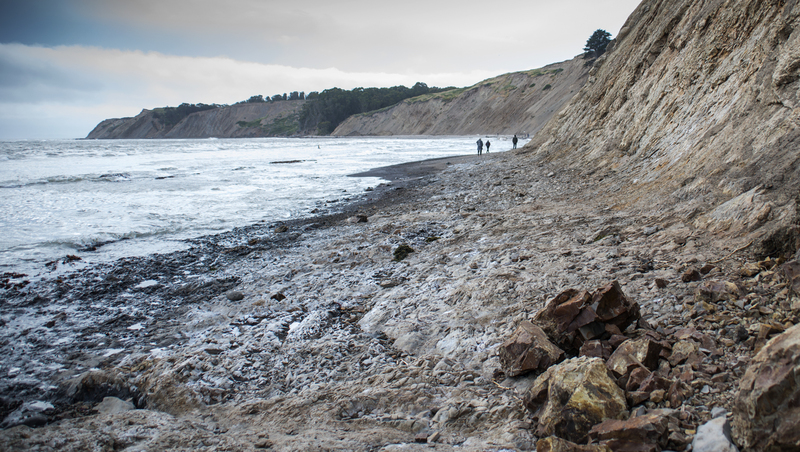 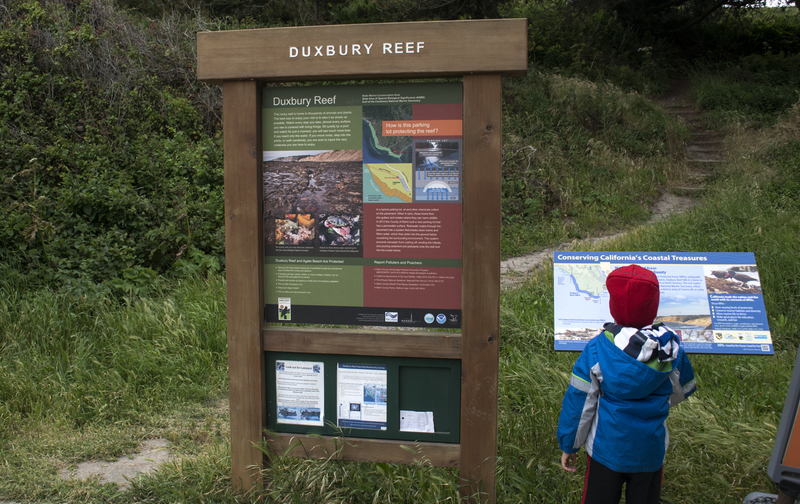 That’s because there is a large reef off the beach, which is adjacent to Point Reyes National Seashore, she said. 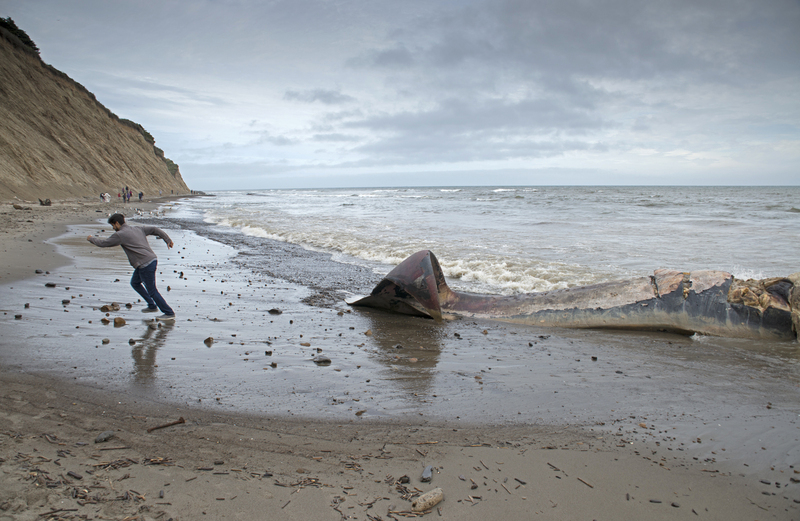 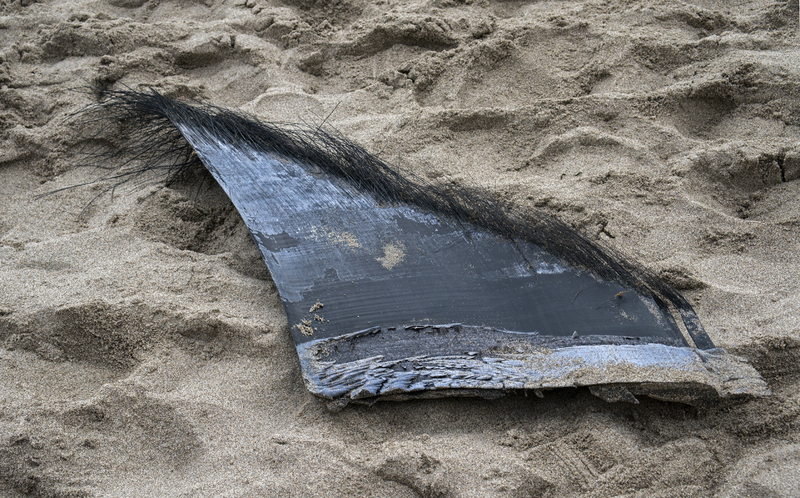 This incident was only the ninth time in the 42-year history of the center that it has responded to a blue whale death. 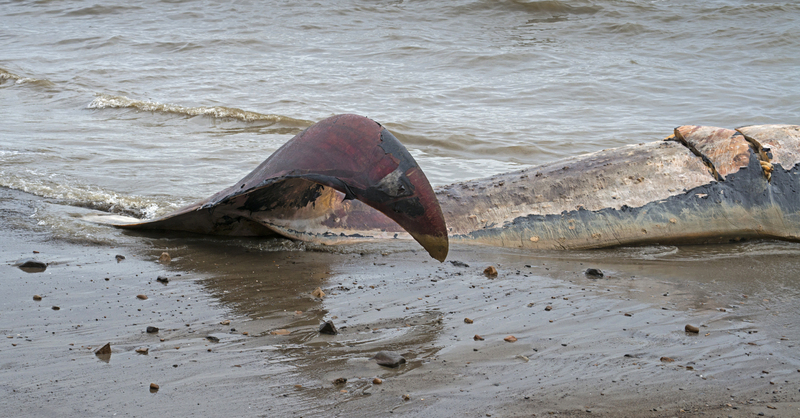 Information from a photo database of blue whales based on their tail markings revealed a match with this weekend’s whale. 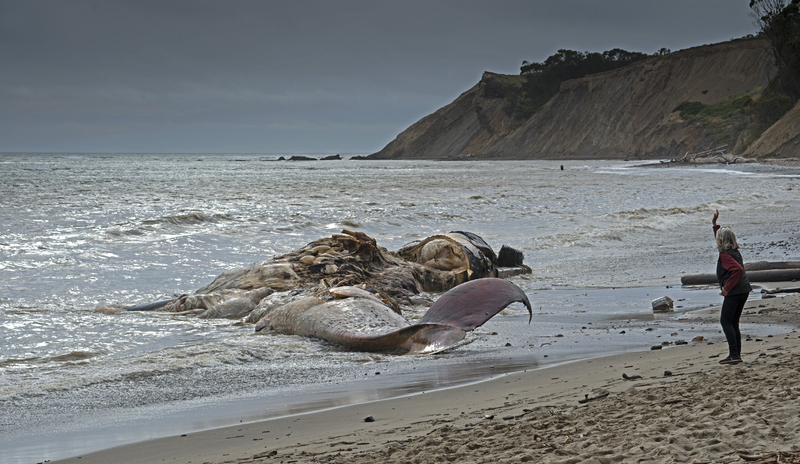 It was first identified off California in 1999 and seen in at least 11 different years mostly in the Santa Barbara Channel area, according to the Marine Mammal Center. 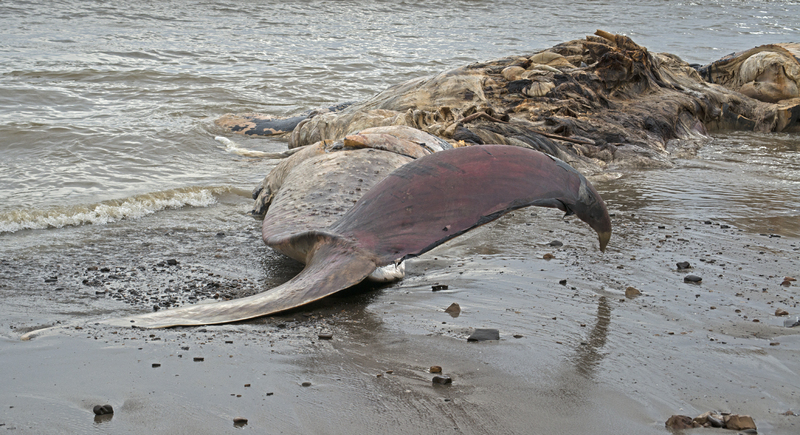 There are between 8,000-9,000 blue whales worldwide. 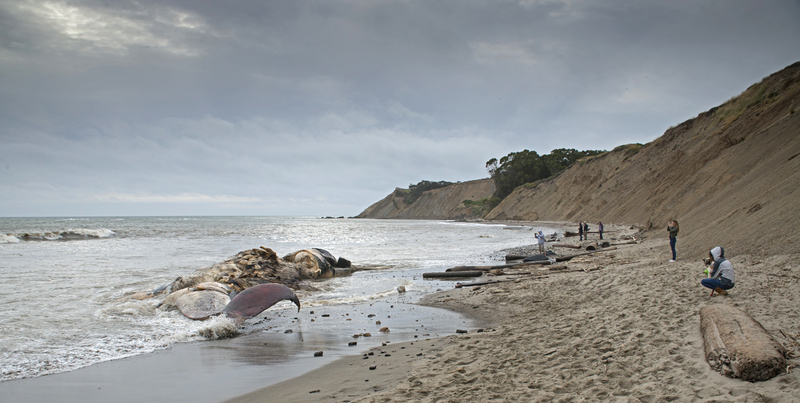 Roughly 2,800 blue whales feed along the California coast, according to the Marine Mammal Center. 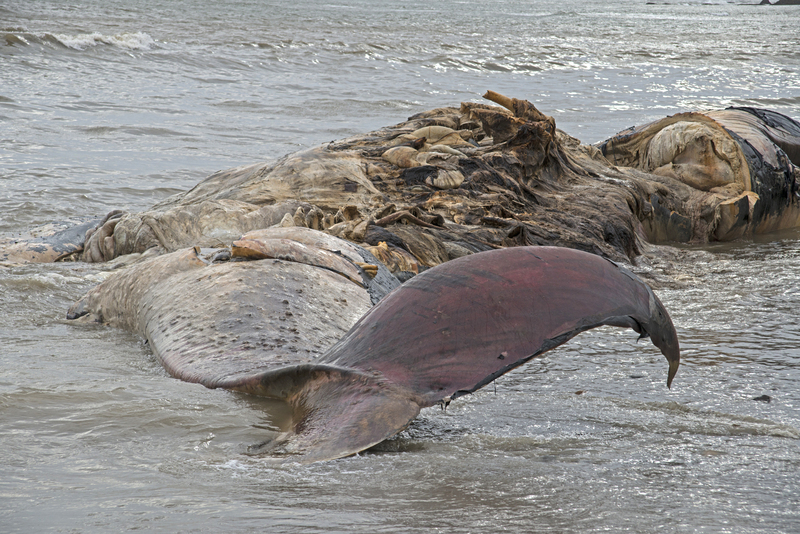 They make up the largest concentration of blue whales in the world.